How many times have we heard this phrase? Indeed, how many times have we ourselves said it? Ad finitum throughout our daily lives, whether at home or at work. Our frustration – the real reason why we’re still at work when the sun goes down (or/and are there before the sun comes up) – is more likely due to disastrous time management and an inability to properly prioritize tasks to reach our daily, weekly and monthly goals than to time itself. What with meetings, phone calls and those last minute emergencies it’s amazing we get anything done at all. But don’t worry! FIOS is here to the rescue. We’ll help you accomplish more things in less hours through our tailored time and task management training program. And that’s a promise. Check the details below to find out just how. ‘Time is money‘ – this oft-used cliche, while faded, remains true, whether we’re working on a village community project for children or for a major international investment bank on a multi-million Euro deal. 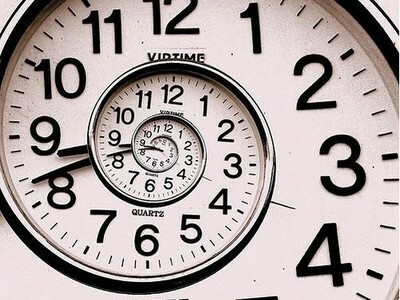 Proper use of time means greater efficiency and stronger effectiveness. It means the difference between a community event that falls flat on its face, with empty seats, or one that is ripe with success, with standing-room only attendance. It’s the difference between a failed business project that leaves pockets empty or one that results in higher than expected windfall profits. Strong time and task management skills means we make full use of the most important commodity any of us will ever have – our time. Effective time management isn’t about doing everything with equal gusto. It’s about becoming clear about what’s important and deciding where best to focus our efforts. It’s about doing what needs to be done at work, so the balance between work and life remains just that: balanced. According to research, 80% of our effects are a result of 20% of our causes. Stated simply, that means spending as little as 20% of our time on the things we consider important will produce dramatic results. And with sound time management, just think what you could do with the remaining 80% of your time! FIOS will not only coach you to use your time more efficiently, but will analyze closely your particular work environment to make sure the solutions we offer are tailored to you and your specific situation. Our practical, fun and interactive coaching will give you insight into just why time seems to melt away. After all, it’s not just time management… it’s your life. So why not contact us now and transform yours.